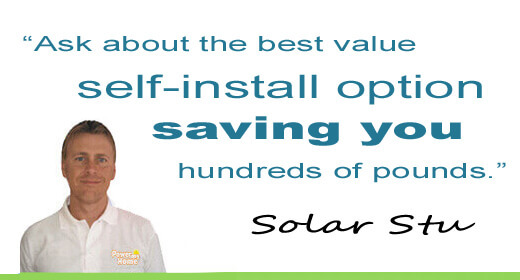 Charge your electric vehicle with PV solar panels. PV solar panels are bringing the power of the sun to the electric vehicle industry. Astute EV-owners are charging their cars with photovoltaics to enjoy free motoring mileage. Electric vehicle (EV) sales are growing at an unprecedented rate. The rise of EV's also gets boosted by the popularity of PV solar panels that is paving the way to real free-charging capabilities. Electrons care little at where they end up. PV-generated ones are the same; they go to your washing machine, PV heating converter or electric vehicle battery if you're lucky. Today's EV-charging points are becoming commonplace from Hotels to business car parks. Domestic charge-points are installed with our PV solar panel installations too. Li-on batteries are well-proven in Chinese taxis, because they do over 100,000 miles and still, have 80% charging abilities. In cycle terms, a Li-on battery will last a decade and then another decade at 80% capacity. BSI Certificated to BS EN 60335-1. "Electric vehicles beat conventional engines in every aspect. PV-powered makes them the most economical." The combustion engine's development in 1807 was at a time when the coal-powered industrial revolution was in its infancy. Little has changed since then - until today. Interestingly, a fully charged EV (even without connected PV solar panels), can power an average home for approximately two days. One mythological hurdle of having many EV's on the road is the potential strain on the National Grid. PV-power comes into its own here, but a two-way 'battery storage' device to divert power out of the car battery-storage system would relieve network strain - I digress. Current EV-owners charge their cars during off-peak nighttime periods for lower costs. Even more astute owners charge their vehicles during the day with PV solar panels for free. 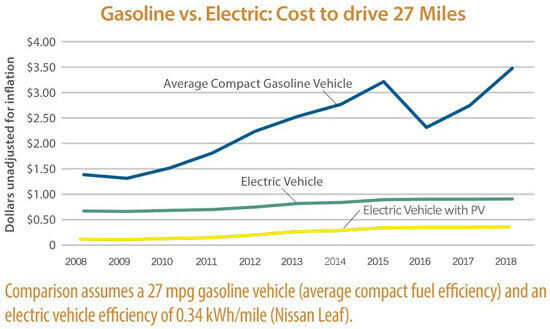 I see positive effects of electric vehicle ownership as progress away from a now two hundred-year-old combustion technology. The alignment of car manufacturing and the alternative technology industries now help people pioneer a 'self-sustaining' lifestyle. Ironically, the photovoltaic (PV) effect got discovered in1839, and in parallel, these technologies have been suppressed - until today. Today, PV solar panels are now powering the manufacturing processes that are producing electric vehicles. PV-powering their mileage too - makes sense. The rest, as they say, will be your family history. Will PV solar panels generate all the power to charge my EV? If you're able to time your EV-charge during sunshine hours, then it is entirely plausible to generate the majority of your mileage from the sun. However, this depends on your household demands when charging. No. Domestic charging consoles are compliant with all building regulations and suitable without planning permission. Can consoles be used with all electric vehicles? Yes. Every electric vehicle currently on the UK market can charge quickly from our two leads console during the day. Even using a standard 13 amp standard socket could fully charge overnight too. Can charge point consoles be installed in a garage? Yes, consoles can be installed indoors or outdoors and designed to withstand northern European weather conditions. Can I self-install an EV-charging point? Part P accreditated tradespeople are qualified. Alternatively, find a local electrician if you wish to purchase an EV-charge point without our professional installation service. Can I use a charging point for other reasons? Charge points double up as a traditional electric socket. This additional extra is ideal for home or garden maintenance, charging mobility scooters etc. Is your charge point future proof? Yes, it's easily upgradable to a full Mode three fast-charge format in addition to upgrading kits if you decide to increase the number of electric cars in your household. How much does a PV/EV-charge point installation cost? The cost of an EV-charge point complemented by a household PV solar panel installation depends on several factors. When wiring an EV-charge point, we look for the electric board's age and ability. Some household electrical boards and wires may require updating to meet modern safety standards. A consultation can be arranged to give you options and prices. How long does a charge point last? The robust design allows us to guarantee the installation for ten years, but the life expectancy is easily double that. Can I choose where to install? Yes, although we install near as possible to the location of your parked car. It's the proximity and wiring routed to your mains electricity output to your preferred EV charger location is essential to consider. Our nationwide network of installers are very accommodating and in most cases will allow you to choose a preferred installation date. No routine maintenance is required.